A Hydrogen-powered bikes are in production in France where some novel forms of transport like Zapata’s flying hoverboards have been puoneered recently. 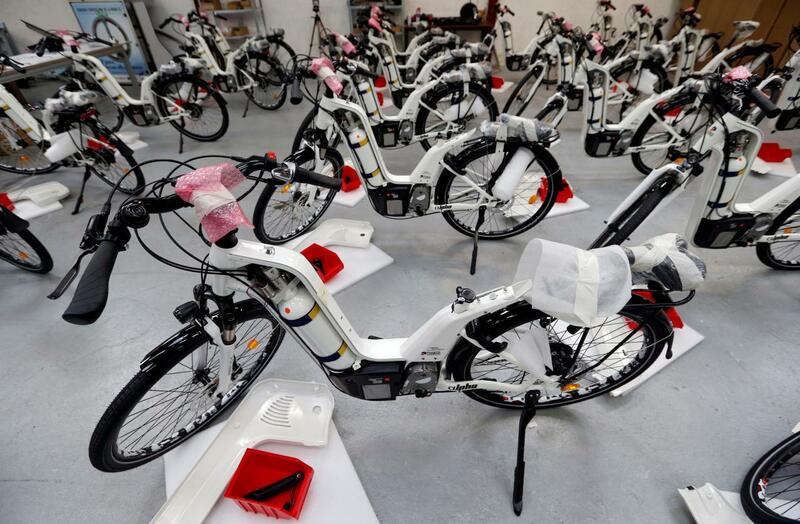 Pragma calls them Alpha bikes and has sold 60 of them. It made 100 last year. 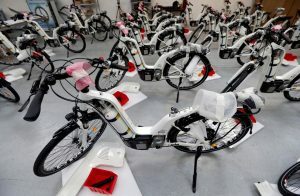 They are not cheap – €7,500 for the bike and €30k for refuelling stations whichare in two types – ones which produce hydrogen through the electrolysis of water and cheaper tank-based stations. The market for the bikes is currently aimed at bike-rental operators, delivery companies, and municipal or corporate bicycle fleets. Pragma is bringing the bike price down to €5k – still, seemingly, not cheap enough for the consumer market. Nevertheless that is the plan. “In the next two-three years we want to enter the consumer market and massively increase the scale of our operations,” says CEO Pierre Forte. Pragma gained its technology by making fuel cells for the military.